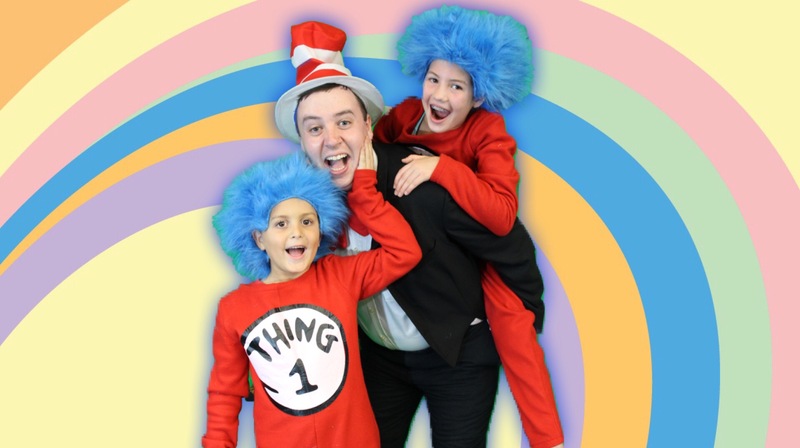 Dr. Seuss’ best-loved characters collide and cavort in the unforgettable musical caper Seussical, at The Players Club of Swarthmore, 614 Fairview Rd. in Swarthmore, Oct. 5-7 and 12-14, for eight performances. Ryan Stone directs the offering from the PCS Children’s Series, with choreography by Amelia SanFilippo and Tommy Bennett and musical direction by Kevin Gane. Buy tickets online at http://www.pcstheater.org. Seussical comes from the creative team of Lynn Ahrens and Stephen Flaherty (My Favorite Year, Ragtime). Seussical follows the entertaining adventures of Horton the Elephant who must protect his friends, in the invisible world of Whos, from the naysayers of the Jungle of Nool. He is also entrusted with the task of guarding the abandoned egg of Amazing Mayzie. Horton faces ridicule, danger, kidnapping, and a trial. The powers of friendship, loyalty, family and community are challenged and emerge triumphant in this beautiful story, perfect for the kid in everyone. Many of Dr. Seuss’s beloved characters are brought to life in Seussical including The Cat in the Hat (Matt Prince, Media; Jason Boyer, Lansdowne), Horton (Kevin Gane, Aston), Gertrude McFuzz (Liat Kovnator, Philadelphia), Amazing Mayzie (Dani Japhet, Claymont, De. ), Mr. Mayor (Jim Bloss, Drexel Hill), Mrs. Mayor (Renee Grant, Drexel Hill ), Sour Kangaroo (Marianne Verlinghieri, Secane), Wickershams (Emily Cratin, Drexel Hill; Andrew SanFilippo, Springfield; and Avery Leach, Clifton Heights), Bird Girls (Maryleigh Sharp, Upper Darby; Sam Gregori, Havertown; and Marissa Perri, Springfield), Thing 1 (Carter Verlinghieri, Secane), Thing 2 (Miranda Graves, Swarthmore), and Elephant Bird (Logan Stone, Newtown Square). Additional cast members include Julia McManus (St. Davids) and Patrick Taddeo (Havertown). Seussical runs from Friday, Oct. 5 through Sunday, Oct. 14. Friday and Saturday performances are at 7pm. Sunday performances are at both 11am and 3pm. Performances will be held on The Raymond W. Smith Second Stage on the second floor above the lobby. After each performance, the actors will be available in the lobby for photos and autographs. Buy tickets online at http://www.pcstheater.org, by calling OvationTix at 866-811-4111, or at the door. For more information about The Players Club of Swarthmore, including upcoming events, shows, ticketing and directions, visit www.pcstheater.org.